The low-cost carrier expects to make less post-tax profit this financial year than previously anticipated as CEO Michael O’Leary cuts fares to attract customers. That’s tough as he is having to pay staff more. But passenger numbers are growing fast enough for his bet to pay off. 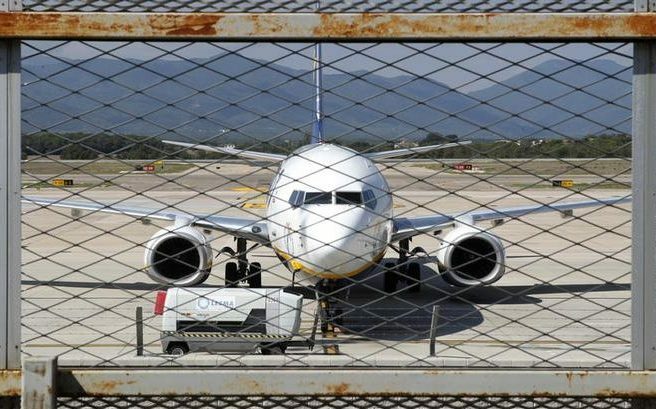 A Ryanair plane is seen parked through a fence at Girona airport, September 20, 2012. Ryanair has welcomed a meeting between Irish and Spanish aviation authorities to resolve a dispute between the airline and the Spanish government over safety standards. Ryanair has accused the Spanish aviation authorities of falsifying information on incidents involving its planes, an accusation Spanish officials have rejected. Ryanair cut its forecast for full-year post-tax profit for the second time in three months on Jan. 18, blaming lower-than-expected winter fares. Europe’s largest low-cost European airline said it now expected profit after tax for its financial year to March 31 – excluding startup losses at its Laudamotion unit – of between 1 billion euros and 1.1 billion euros, compared with a previous estimate of between 1.1 billion euros and 1.2 billion euros. Ryanair shares fell 1.8 percent by 0840 GMT on Jan. 18 to 9.89 euros, their lowest in nearly four years. Rival easyJet’s shares were down 2.1 percent.